We have taken some time to identify the best vocational training programs for disabled in 2019. However, before we look at the three schools we identified, let’s look at the benefits of a vocational education. Vocational training is training that focuses more on practical subjects than the theory. While many students with disabilities find it easier to enroll for a four-year degree, a growing number is starting to realize the benefits of vocational training. These students are starting to realize that a vocational path takes less time than a conventional university degree. These programs also cost less. According to the Community for Accredited Local Schools the completion rate in vocational colleges in the United States is 23 percent higher than that of four-year institutions. People with disabilities have special needs. This is the reason why selection of the right school for disabled people is something which should be approached with special care. The following are some of the things you should ensure are available before enrolling into the school. Policies. Ask to read the policy of the school when it comes to the education of students with a disability. If the school does not have a policy, it is not good for you. This indicates that the school is not geared towards making the life of people with a disability easier. Modifications In Buildings. Ensure that the buildings of the school you select have such modifications as elevators, ramps, and other such modifications designed to make someone who uses a wheelchair or crutches move easily around. Assistive Equipment. Disabled people require modified devices. Look for modified computers, adjustable desks, microphones and headsets, and automatic lights that can make the life of a disabled person easier while they are studying. The UPMC is a vocational school that offers vocational programs for adults and individuals living with intellectual disabilities. The school operates from Pittsburgh in the US State of Pennsylvania. The training center aims to provide quality training and meaningful work to individuals who would find an organized therapeutic setting suitable. Students in this school complete real jobs. They are assessed for work readiness and they are paid for the work they perform while on training. Another service... ...offered by this vocational training school is the Supported Employment Program. This program finds jobs for adults who have disabilities. This includes people with autism. Every individual gets assessed to gauge which jobs would be suitable for them. The program also offers services for high school students who are preparing to enter the job market. One of the biggest departments inside which disabled learners get trained for skills that will later be required in the workplace is the Mailing Services for Business. This center is equipped to handle various sizes of jobs. Students get supervision from trained staff to process bulk mail and print labels among other such tasks. To find out more about this vocational college, you can visit their website or call them on 412-235-5465. They are open from Monday through Friday between 8:30 a.m. to 3 p.m. Vocational Training – Intensive Support Programs (ISP) at the Nassau Boces Adult Education provides vocational training programs for the disabled through the Intensive Support Program. The aim of this program is to assist students to learn specific skills that will allow them to enter the workplace. These programs are available at their BOCES Barry Tech. Times. Classes for the disabled start at 2:30 pm and end at 6 pm between Monday and Thursday.On Fridays, lessons run between 9 am and 12 pm. Students complete a part of the training on the job with a dedicated supervisor.The college offers the courses in fall and spring. Cost. The cost of the training is $4 300. However, this can change, so students who want to enroll in this college can call the Career Support Services at 516-622-6832 or send an email to adulted@nasboces.org. 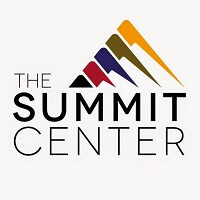 The Vocational & Employment Services is a program of The Summit Center. This program is available for adults with developmental disabilities and those affected by autism who are in the labor market looking for gainful employment. The program equips individuals with the skills required for accessing and maintaining gainful employment through pre-training that prepares them for vocational training and them supporting them to navigate the labor market when they look for employment. The aim of this college is to assist disabled people who have developmental disabilities to become productive members of their communities. This program offers pre-vocational training aimed at giving students real work experience. The aim of the program is to encourage individuals to look for gainful employment. The Summit Center continues to support students even when they are in the workplace. For more information about this program, prospective students can download a brochure here. The programs we have included in this article are just a few examples showing that a disability is not an inability. Students and adults with disabilities can contribute to their societies if they receive the necessary support. My son who is 34 years old. Is effected with cerebral palsy. An intelligent boy. Articulates well. Computer literate has finished his high school. I would start tomorrow for a further degree but my chances a slim. I am not referring to the ability it is mobility, disability. No technical company has the device software for my needs being totally blind, deaf, mute, partly paralysed. My typing is related to a lipreader support worker. The software is unavailable for this which I have closed doors? Hi shraddha, I’m Nidhi Nair with learning disability, looking for the same. Hi Nidhi Nair, if you are living in New York area, I have a vocational training school you could attend, it’s called Abilities Inc. Viscardi Center. Are you in the dentin texas area ? We do not offer any services, this website is informational only. You can try with any of the schools listed above.